When will be Beast Wars next episode air date? Is Beast Wars renewed or cancelled? Where to countdown Beast Wars air dates? Is Beast Wars worth watching? Trapped on a primitive planet, two opposing factions, the Maximals and the Predacons, of Transformers, a race of sentient robots, fight over its precious Energon. Soon they discover that there are other forces at work on the planet - a powerful alien race that does not approve of their presence. And as they delve deeper into the planet's history, they uncover a terrible secret, one that must not be allowed to fall into the wrong hands, or their entire race's very existence could be threatened. 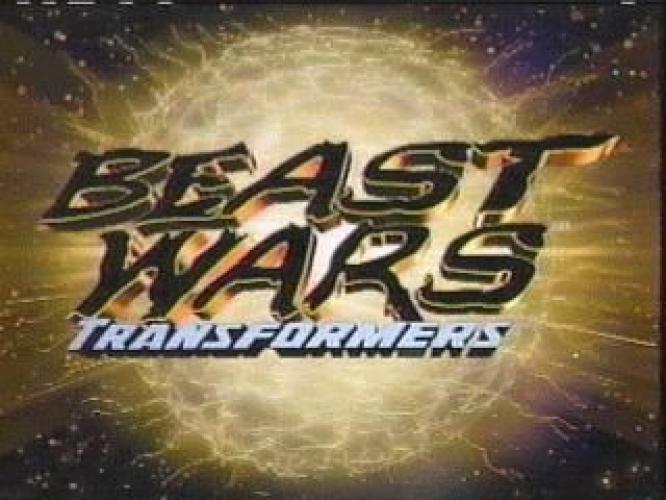 Beast Wars was a spin-off from the 80s Transformers cartoon. It was later followed by Beast Machines, which continues this show. Another interesting series to note that Beast Wars may have started as Beast Wars Neo, completely done in Japanese and yet to be dubbed; it is vaguely reminiscent of Gundam Wing, and many other popular mobile suit animes. During an attack on the Maximal base, Optimus is hit with a burrowing cyberbug that allows Quickstrike to take control of his body. Tarantulas and Quickstrike form an alliance in order to destroy the Ark and Megatron. Tarantulas convinces Megatron to use the spark of the original Megatron to upgrade himself as Optimus did. Once Megatron absorbs his namesake's spark, Tarantulas has Optimus (controlled by Quickstrike) drop Megatron into the lava. Blackarachnia manages to stop Tarantulas, using her past knowledge of his work. After he was thought to have "died", Megatron rises from the lava, having now become a gargantuan red fire-breathing dragon. Quickstrike is put to trial for his betrayal of Megatron, but it is interrupted when the Vok send Tigerhawk, a supernatural fusion of Tigatron and Airazor, to stop Megatron's interference with time. They do not realize, however, that Megatron has part of his predecessor's spark within him, thus destroying him would cause another timestorm. Upon his arrival, Tigerhawk destroys the Predacon's ship. Tarantulas captures Tigerhawk and proceeds to kill his Vok control. The experiment goes fatally wrong however, and Tarantulas is killed. The sparks of Tigatron and Airazor reunite with the body of Tigerhawk and he is welcomed back home to the Maximals. With the destruction of the Predacon base, Megatron is forced into a corner once again as the Maximals hunt for him. Megatron sends Inferno, Waspinator, and Quickstrike to find a new base, while he goes with Dinobot and Rampage to search the debris of Tarantulas' lair for anything that may turn the tide for the Predacons. They find an underground passage that leads to a minisub that runs on a submerged track – which in reality leads to the Nemesis – the almighty Decepticon warship piloted by Megatron that first attacked the Ark on the way to Earth. Depth Charge is dispatched to destroy the submerged colossus, but inadvertently kills himself when he destroys Rampage with raw Energon. Rampage's death causes Dinobot to scream in pain. Nevertheless, the Nemesis rises from the ocean, with Megatron at the helm. Meanwhile, Waspinator quits the Beast Wars. The Nemesis has proven to be powerful and dangerous under the now-insane Megatron, killing both Maximals and Predacons alike. Tigerhawk is destroyed with a large energy cannon, and Inferno and Quickstrike both get killed in Megatron's whimsical attempt at taking out a group of proto-humans. Optimus fights Megatron alone, while Dinobot II decides to aid the Maximals by sending them data about the Ark (a consequence from his spark now being independent, which apparently allows him to think more for himself and like the original Dinobot, though the episode hints that Dinobot II has become a conduit for the memories of the original Dinobot from beyond the grave as he recalls the last words spoken to the original Dinobot from Code of Hero, though this is never outright confirmed. However the clone loses the metallic echo his voice originally possessed upon his creation and begins to show signs of Dinobot's personal code of ethics, citing the concept of honor, which up until that point the clone did not care about, to Megatron when he is about to unleash Nemesis' firepower on a single proto-human after physically stopping him from opening fire on him). The Maximals receive the data and discover an Autobot shuttle in the Ark, which Rhinox flies and crashes into the Nemesis control tower, taking out Megatron as it goes all the way through both sides. Optimus flies away while Dinobot II bids farewell and goes down with the ship. The Nemesis is now out of control and flies off toward South America, where it would be discovered during the Great War. The Autobot shuttle and the Transformers on board are safe to resume their original place in time. The Maximals return to Cybertron triumphant with Megatron as their prisoner. In a deleted scene, Optimus rips the original Megatron's spark from Megatron's chest and restores it within its rightful body. Meanwhile, Waspinator, who quit the Beast Wars last episode, is shown to be worshipped by the protohumans, and declares he is "happy at last". Beast Wars next episode air date provides TVMaze for you. EpisoDate.com is your TV show guide to Countdown Beast Wars Episode Air Dates and to stay in touch with Beast Wars next episode Air Date and your others favorite TV Shows. Add the shows you like to a "Watchlist" and let the site take it from there.